Unmounted stamps are a popular type of rubber stamp. 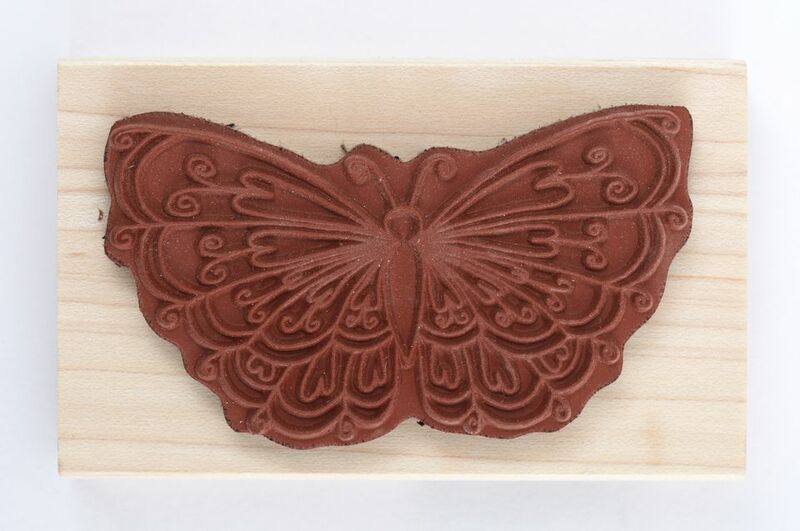 Not only are unmounted stamps often cheaper to buy, they are also easier to store making them an attractive alternative to 'traditional' rubber stamps which are sold complete with a wooden block attached. In order for an unmounted rubber stamp to be used, it must be mounted, and this is where the mounting foam comes in. The use of mounting foam allows the unmounted rubber stamps to be used with acrylic blocks. This combines many of the features of a wood mounted stamp with the ease of use and convenience of clear polymer stamps. The foam is thick and soft, allowing images to be stamped with ease. Mounting foam products are coated on one side with a strong adhesive that adheres to the back of the stamp. The other side has a lightly clinging coating that will hold the stamp tight to an acrylic block, yet allow it to be easily removed and re-positioned. Mounting foam is permanently attached to unmounted rubber stamps allowing them to be used with acrylic blocks. The strong adhesive bonds with the back (flat side) of the stamp. The cling side of the foam will attach itself tightly to an acrylic block allowing good sharp images to be stamped. This also allows the stamp to be easily be removed at the end of a stamping session. For more information, this page how to mount an unmounted stamp has more information about using cling mounting foam. Most cling mounting foams are 1/8 inch in thickness and are sold by the sheet. A standard sheet of cling mounting foam is 8" by 11", although smaller sheets are also widely available. There are thinner sheets of cling mounting foam available and these are ideal for use with small or long thin stamps. Thin mounting foam is 1/16 thick, which is half the thickness of standard mounting foams. There are many brands of mounting foam available. As well as the well-known brands, some online rubber stamp companies sell their own brand of mounting foam. Most cling mounting foams work in the same manner and the choice of brand is often dictated by availability or cost. Using a cling mounting foam that has been developed specifically for the purpose of mounting stamps is by far the easiest way for beginners to get familiar with the process of using unmounted stamps. There are, however, numerous other ways of achieving this from the use of a repositionable glue through to the use of Velcro (tm) or double-sided tapes. When not in use attach stamps to a plastic sheet or in a clear plastic wallet. This keeps them flat and also protects the cling coating. Thin mounting foam is suitable for attaching to unmounted stamps with the cushion already attached. Store unused cling mounting foam flat. The foam may get damaged if it gets bent.